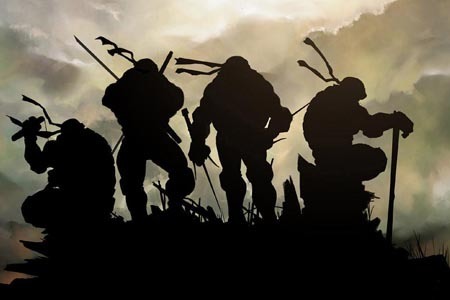 The current Teenage Mutant Ninja Turtles movie was a hit with children to the point that turtle sales in Canada went up. The problem is that a permit is needed to import turtles. So now, there’s some illegal smuggling going on. Why illegally smuggle them? Easy money, really. There’s reportedly one species that sells for up to $600 in Canada, while in the United States it’s merely $25. Hell of a profit. But then again, there’s the chance of getting caught. A man was found smuggling 51 turtles strapped to his body and is being charged in both Canada and the United States. Let that number sink in. 51 turtles. There’s something hilarious about that. I question if he was able to even attempt that with a straight face. One of the downsides of the sudden increase of turtle sales is that either boredom or the turtle growing too large causes some pet owners to release them in the wild, which isn’t a good thing for the turtle population in the local area. Release them properly. In a farm. By which I mean in a sewer. By which I mean don’t do that. Just don’t make impulse buys on living creatures. If not for the animals, then for the smugglers? Han Solo will thank you.